Reveal your site to the world. Today I thought of writing about the financial services sector in India. I have worked in developing software for Non Banking Finance Companies (N.B.F.C. ), Private Finance companies, Chitt companies. I have some exposure to Insurance and equity markets as an investor and agent. Financial Services sector is currently down for nearly the last four years after booming for 6 years. Many a reforms have been carried out by regulatory bodies like I.R.D.A. (Insurance), S.E.B.I. (capital market), R.B.I. (Financial Sector in general and Banking in Particular), Monopolies and Restrictive Trade Practices Commission (MRTPC) which fined heavily the real estate/housing majors, The Association of Mutual Funds in India (AMFI), Govt. of India etc. There are a large number of companies operating in this sector. It has become highly competitive and selling agents commission has come down drastically over the last few years. Due to the strict vigil of the regulatory agencies, the investment cost has come down and one can hope that the returns gets improve over the years. For those who invest in equity shares, the Annual Account Maintenance charges for demat accounts has been abolished a couple of months back for small investors who investment does not exceed INR 50000. In the Mutual Fund sector, AMFI’s recommendations has resulted in entry and exit load structure getting revamped. This has benefited the customers. RBI’s enforcement of base rate linked interest rate on loans has resulted in better terms for the Banking customers. Also savings bank interest rates are now calculated on the daily closing balance (credited once in six months in case of most banks) compared to the previous system calculating interest on the least amount in the account between 10th and the last day of the month. 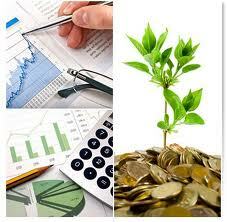 To summarize, these measures and the competition may lead to better investment climate..